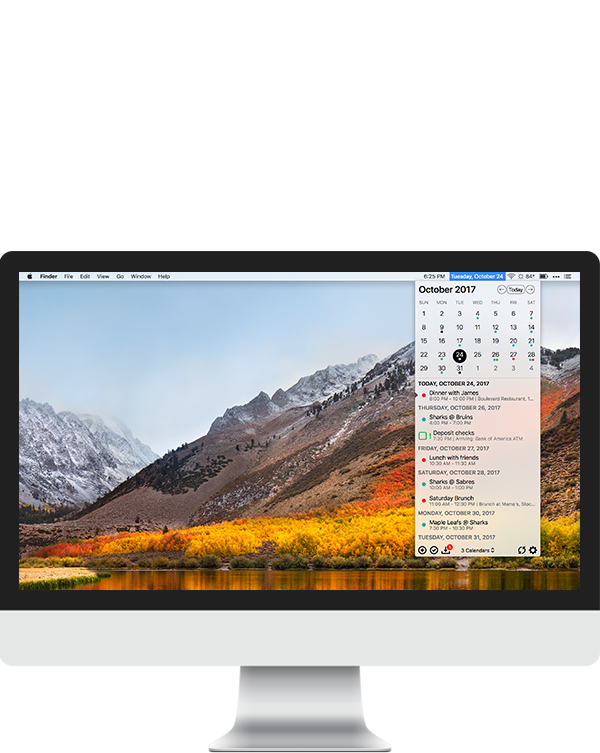 InstaCal is an affordable, yet powerful Mac calendar app that puts all your events and reminders right at your fingertips. Always available in your Mac menu bar, InstaCal is quick and convenient and can be opened at any time with configurable keyboard shortcuts. With support for Google, Office 365, Outlook and Apple calendar accounts, InstaCal is ready to keep you organized. You can customize InstaCal to fit your needs, with the ability to show a variety of different menu bar styles and color schemes. Make the date in your Mac's menu bar more useful by replacing it with InstaCal. Now, access your calendar from anywhere simply by clicking the date in the Menu Bar. Support for multiple accounts types including direct integration with Google, Office 365, Outlook.com, and your local Apple Calendars. View and edit your existing reminders, or add new ones including location and time-based alerts. 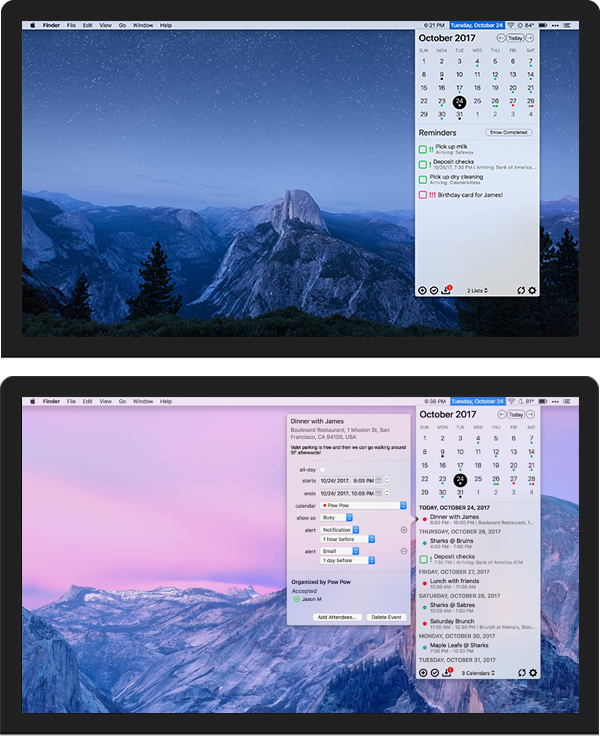 Display the calendar right in your menu bar, or as a standard app your dock. InstaCal makes use of deep integration with macOS including Touch Bar support and global customizable keyboard shortcuts. InstaCal automatically updates in the background ensuring your calendar and reminder lists stay up to date. Create, edit and view notifications for calendar events and reminders. These actionable notifications allow you to respond to invites and view upcoming events and reminders. You can even disable system notifications on a per-account and per-type basis. InstaCal includes support for customizable color schemes to fit your style.